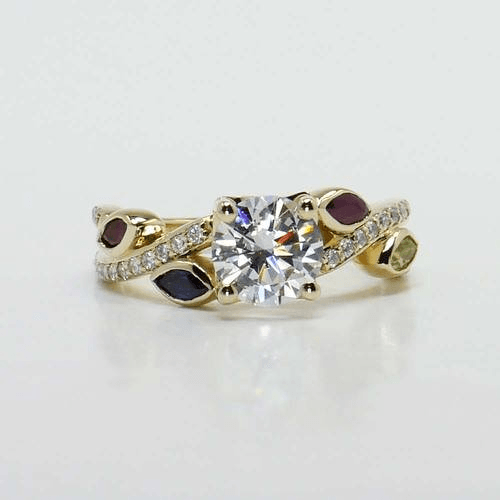 Custom birthstone rings are an ideal gift for special occasions or a one-of-a-kind engagement ring. These rings integrate a personalized nod to the recipient, and the choice of a birthstone can elevate the gift to an intimate level. Designs for custom birthstone rings aren’t limited to the traditional solitaire. 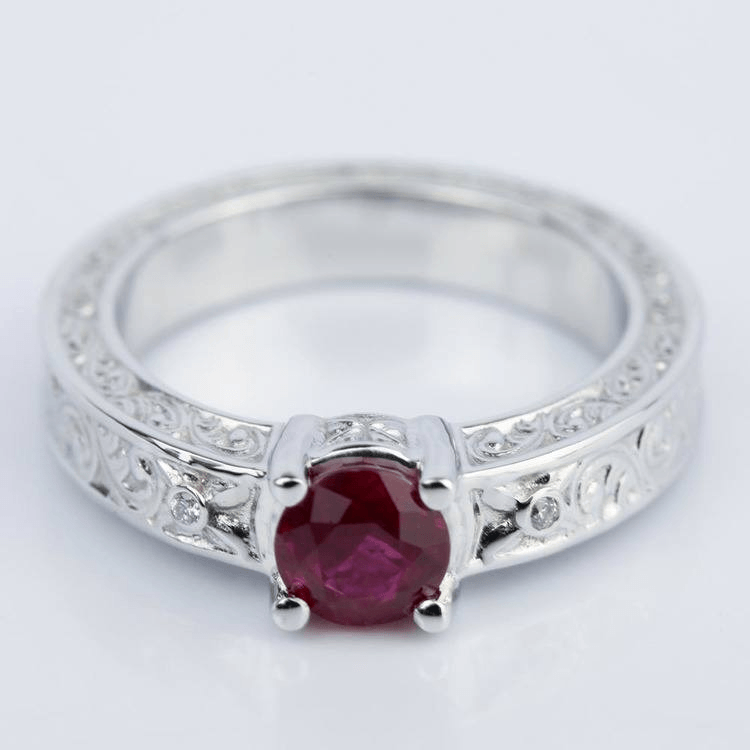 Often, when we imagine a birthstone ring, we see a small gemstone on a gold or silver band. This style is a classic design, but there’s plenty of room to play with nontraditional styles. Every gemstone shines brighter when illuminated with a diamond halo. 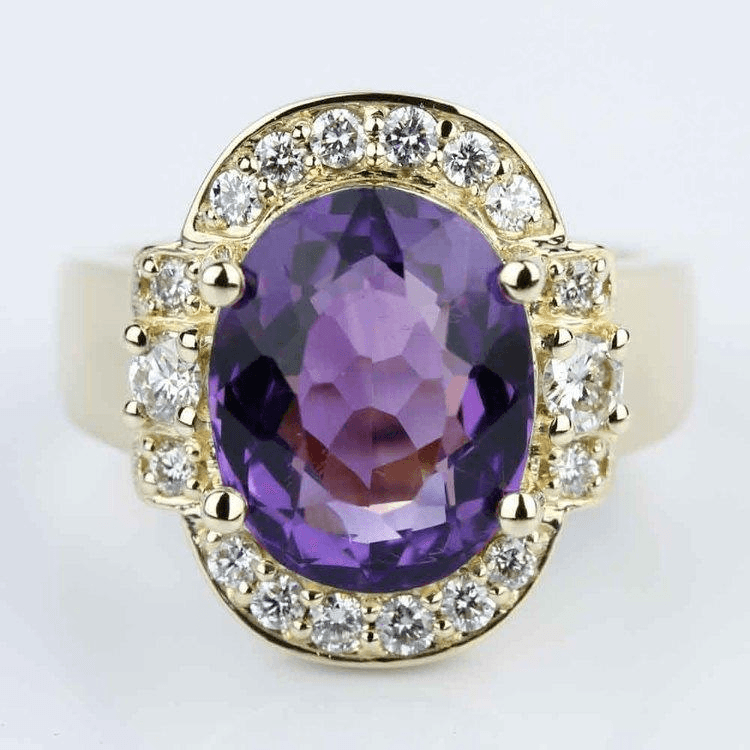 From a fiery opal to a tangy citrine or eye-catching amethyst, set the stone as a centerpiece with a halo of diamonds. A diminutive pave halo delicately outlines a gemstone, or you can select a heavy halo with large carat weight and brilliant diamonds. Choose a few diamonds to hug the birthstone. The cut and type of birthstone should dictate the shape of side stone diamonds. For round cut stones, opt for pear-shaped diamonds or even trillion shaped diamonds. Square shaped birthstones look like a vintage masterpiece when set with baguette or emerald shaped diamonds. Round brilliant diamonds look lovely with every shape. The size of the side stones can vary depending on your budget, whether it’s petite diamond deep-set in an floral design or a bold, three stone setting. In contrast to diamond side stones, birthstone gems also make for beautiful accents to the traditional diamond center. 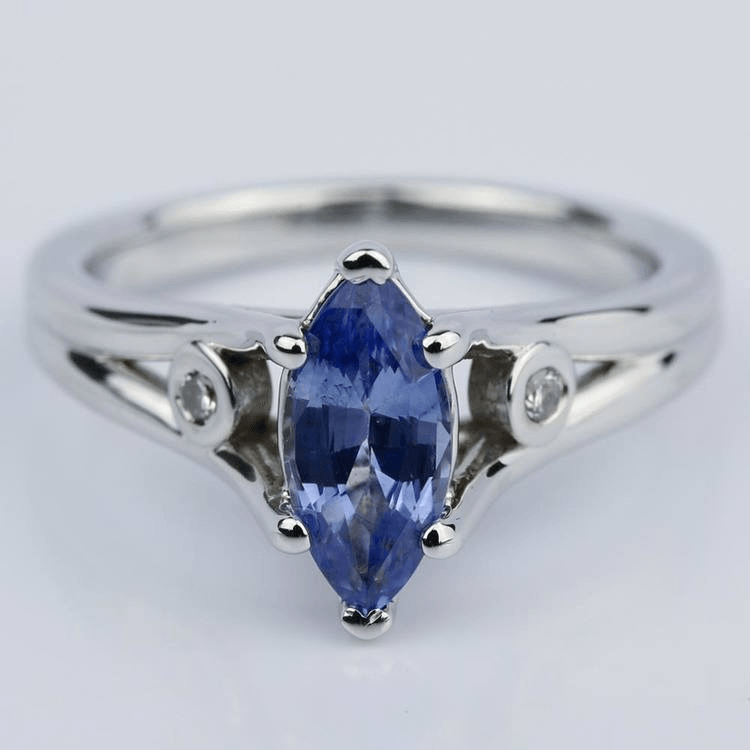 This is a great choice for birthstone rings that are designed for a commitment such as an engagement ring, integrating you or your partner’s birthstone can showcase your union and love, while still adhering to the traditional form of an engagement ring. The twisted petal ring pictured above was customized from an all-diamond engagement ring design to feature the birthstones of multiple members of a family. Opting for a classic solitaire ring? Choose a unique shape to create a fun and unique style for the ring. A gemstone is already a bold statement, so you may choose to go with a more conventional round cut, but for a truly stand-out custom design, go with a “fancy” diamond shape. Oval, trillions, pear, and marquise cut diamonds are excellent options with their unique, nontraditional shapes. Consider which metal is the ideal setting for your birthstone. Some colors pop against light metals such as white gold or platinum, while other gemstones glow warmly against yellow gold. Red rubies will showcase their warmth against yellow-hued metal, but when set against a white-toned metal, the red smolders. Blues and purples set in a white or silver metal will have a cool, modern feel. 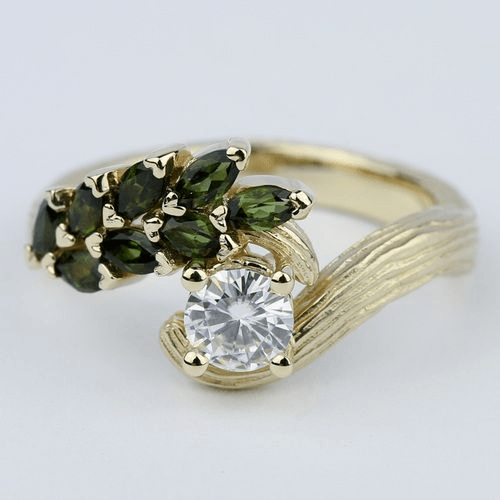 You can also incorporate a unique texture or finish into your band to complement the gemstone, such as this golden tree-inspired ring with leaves of tourmaline, the October birthstone. 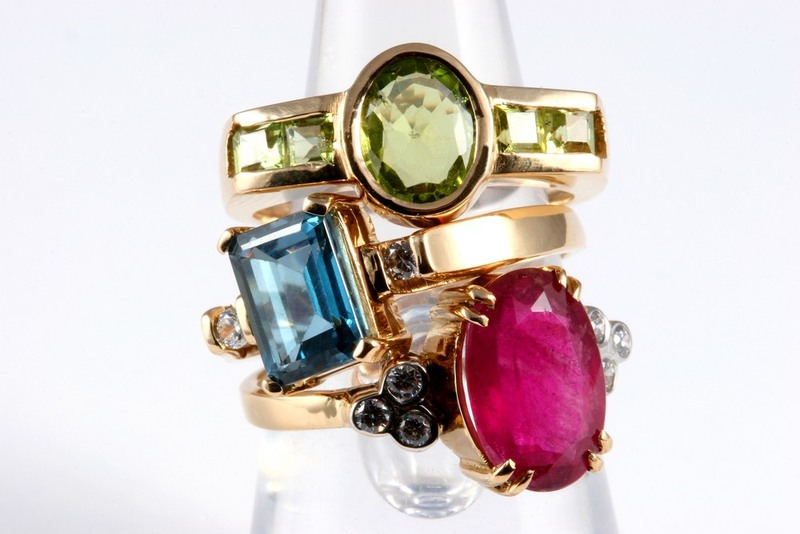 Look at your gemstone’s hue and pair it up with different metals to see what look is ideal for your ring. Remember, your own skin-tone also may complement a yellow or white metal differently. If you’re designing a ring with a custom birthstone, why not customize the setting, too? There’s no limit to what shapes or styles you can make! 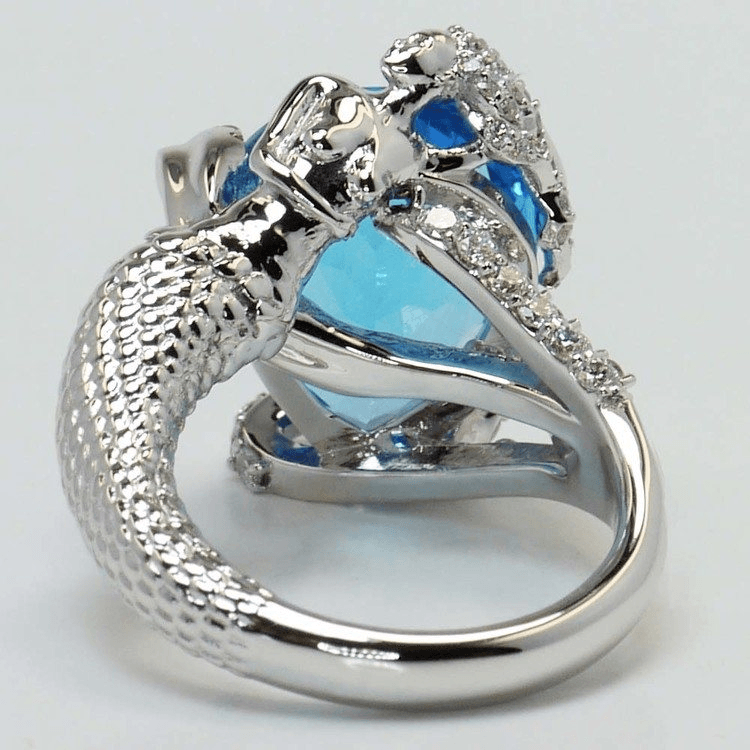 The topaz mermaid ring pictured is a perfect example of a gorgeous custom design. The intricate detail of the mermaid’s flowing diamond-studded hair and scalloped tail is made possible with 3D printing, while the topaz gemstone evokes the serenity of crystal-clear ocean waves. Gemstone rings make for a generous gift, but the more thought that goes into the ring, the more meaning it holds for its wearer. A one-of-a-kind custom birthstone ring is sure to leave you (or your partner) breathless by it’s beauty.